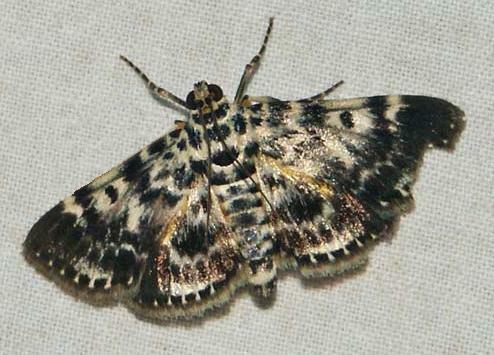 This moth has off-white forewings with extensive dark brown markings. 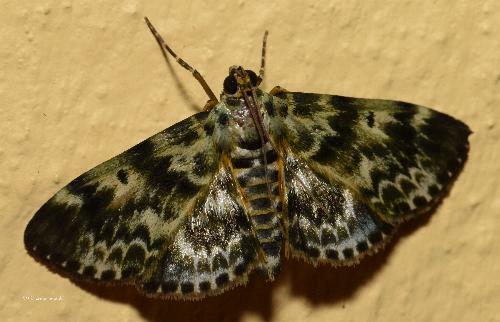 The hindwings are yellow or orange with extensive dark brown and white markings. The wingspan is about 3 cms. Moths of Australia, Melbourne University Press, 1990, pl. 8.28, p. 349. Part 17 (1859), p. 283, No. 2.